As G2E Asia 2018 opens its doors tomorrow, visitors will be greeted on the Aristocrat stand by themed destination areas, specifically designed to showcase the company’s new games and cabinets, and allow attendees to interact with the products in a meaningful way. “We are honoured to welcome our valued customers and friends from Macau, across Asia Pacific and around the world to G2E Asia. 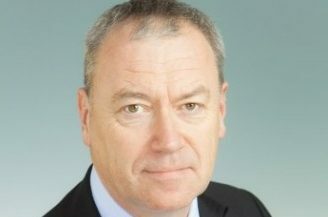 Destination areas on the Aristocrat stand will help attendees experience all of the innovation we have put inside our games and cabinets, to help our customers give their patrons great gaming experiences every day,” said Aristocrat APAC Managing Director, Chris Rowe. • 5 Dragons Grand brings all the excitement of 5 Dragons to the unique experience of Aristocrat’s Arc Double cabinet. This new version features an enhanced reel layout with increased ways to win, jackpot multipliers, and a fun wheel feature with free games and jackpots. • 5 Dragons Empire is a four-level Hyperlink jackpot game that entertains players with an innovative game mechanic, multipliers, bonus prizes, and the chance to win Hyperlink jackpots. 5 Dragons Empire Link will appear on Aristocrat’s Arc Single with three titles: 5 Dragons, 5 Dragons Deluxe and 5 Dragons Rapid which is the latest addition to the family. • Aristocrat will also feature its most popular 5 Dragons titles under the latest 5 Dragons Rapid and 5 Dragons Gold Mystery Links. • Aristocrat’s global slot sensation Lightning Link is expanding at G2E Asia with new games that have been customised to the Asia-Pacific market, complete with tailored graphics, jackpots and bet options. 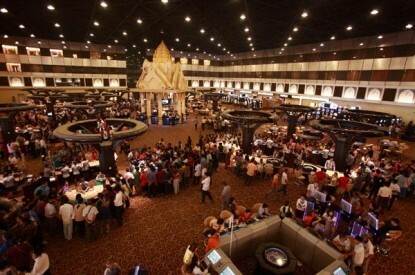 • The fourth title of the new hit Link – Emperors Treasures – will be on display to support its first three titles Happy Lantern, Dragon Riches and Eyes of Fortune. • Aristocrat’s “Hold & Spin” feature is popular with players, and the company has grown the segment with its latest title, Long Teng Hu Xiao – Mighty Cash. This link offers ultimate flexibility with both link jackpots and game configurability. • This new Reel Power game is an evolution of Aristocrat’s popular Hold & Spin mechanic and has a highly Asian-centric theme, player-selectable multi-denomination configurability, and the popular what-you-see-is-what-you-get style of game play. • Additionally, Aristocrat will show Mighty Cash, Nuxia – Red Warriors and Green Warriors. • Aristocrat continues to innovate for players who enjoy table games, with the added fun of a slot environment. • In this segment, attendees will enjoy learning more about Games of Fortune; Multiline Baccarat, Baccarat 88, Baccarat Streak and Baccarat Zhuan Zuana Fa which are played on Aristocrat’s exciting Arc cabinet. 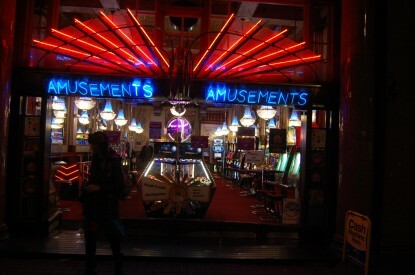 • Aristocrat is also extending its line of standalone games for players who enjoy a higher volatility gaming experience. • Situated in the High Limit area on the booth, Fa Fa Long is based on a proven and popular repeat-win math model. Its simple mechanics are paired with intuitive line displays, which offer players a low line math model. While popular in numerous markets around the world, this style of game will be brand new to Asia and has potential to redefine high limit slots. 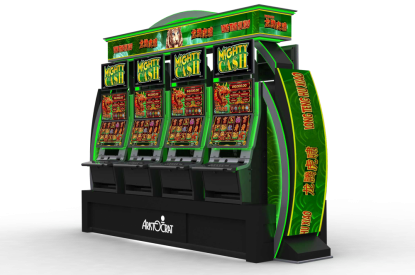 • In the Innovation Room, Aristocrat will debut several new concepts for the Asian market, spanning both games and cabinets. The company looks forward to welcoming visitors at booth #629 at G2E Asia.